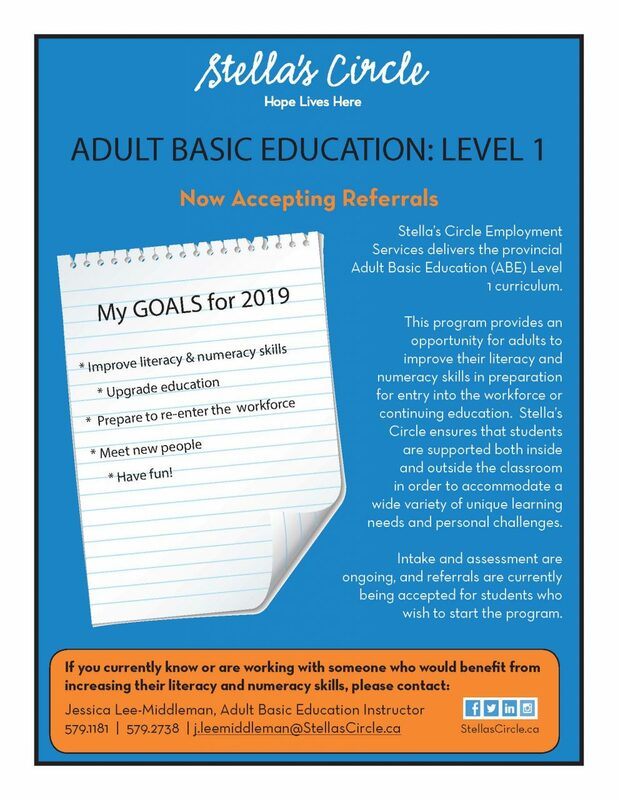 If you, or someone you know is looking to improve literacy or numeracy skills, check out our Adult Basic Education (ABE) Level I Class! Now accepting referrals. Contact our Employment Services Division if you have any questions: j.leemiddleman@StellasCircle.ca / 579-1181.